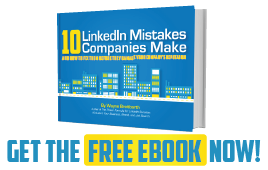 Are You Missing Important Information on Your LinkedIn Profile? What information should I include on my LinkedIn profile? Does putting this on my profile add to my story or increase my credibility? Does putting this on my profile make it easier for people to find me? If I do not put this on my profile and my competitors have it on their profiles, will I be at a competitive disadvantage? Does this information help people understand what I do and how I can help them? Here are some of the answers I typically give when asked specific questions about profile details. Should I include my high school? Yes, because people will find you when searching for your school, and people love doing business with fellow alumni. Should I include an educational entry even if I didn't finish and get the degree I was aiming for? Yes, as long as you are truthful and don't state that you completed the degree. Having that entry on your profile could help others find you in a search since you'll be one of the people who shows up in a search if someone uses the "Schools" filter or the Alumni search feature. Should I include my Rotary Club membership (or similar civic type organizations)? Yes, because people will find you when searching for other Rotarians, and people do like to do business with like-minded fellow club members. Also, others in the community will respect you for helping others. Should I include the awards I won ten years ago at a prior job? Yes, because awards enhance your credibility and add to your story even if they are unrelated to your current job duties. 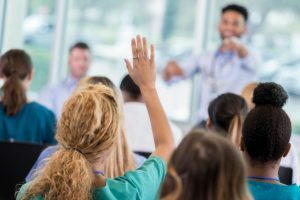 Should I include specific industry training programs or courses? Yes, because it will obviously enhance your credibility and increase your chances of being found when someone is searching for people with that specific type of training/course. Should I include the certifications I hold? Of course, because certifications are instant proof of credibility, and people will search for professionals with those credentials. Should I include local groups or associations I currently belong to or have belonged to in the past? Yes, you should. Because people like doing business with others who have the same interests and affiliations, including your groups and associations could open the door. This is also another way to enhance your credibility. Should I include all the jobs I've ever had? Of course, because when adding connections, many people look for people they've worked with in the past. This will obviously help your past colleagues find you. Also, your job experiences help you tell your story, and the information you share might be just what a viewer of your profile is looking for. Bottom line: If you've done it, you're proud of it, and you want the professional world to know about it, put it on your LinkedIn profile! 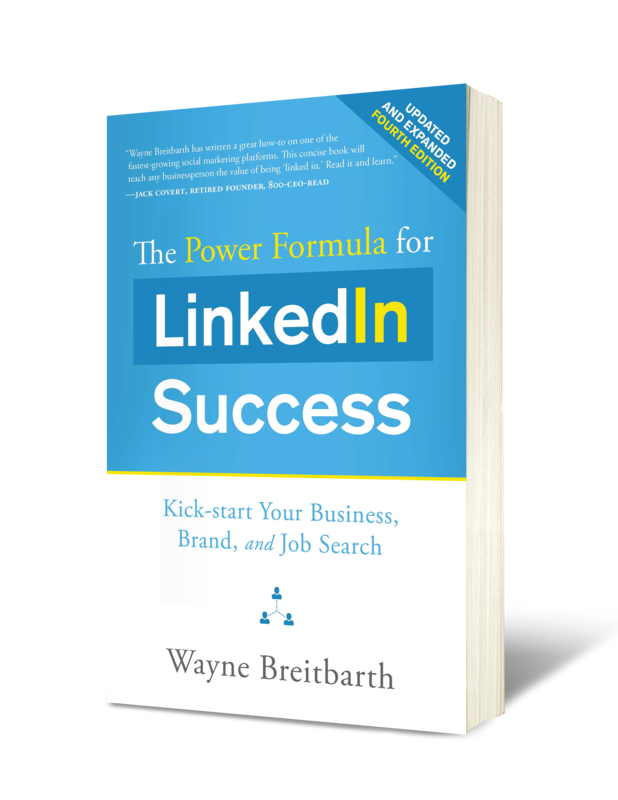 If you'd like help creating an engaging, highly visible LinkedIn profile and a meaningful LinkedIn strategy that will skyrocket your business and career, then take advantage of my specially priced $197 LinkedIn consultation. This consultation will take place on the phone, and I'll share my desktop screen with you. I will perform a detailed critique of your profile and email your marked-up profile to you prior to our session. Click here to book your time. 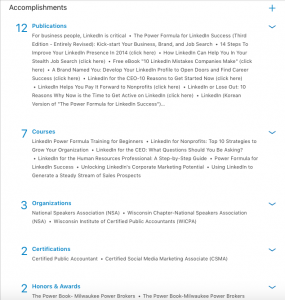 "I highly recommend Wayne's 1:1 LinkedIn coaching session. Per Wayne's guidance, I reached out to the SVP of Client Success for a company I saw a suitable role. I used language Wayne provided in our 1:1 session to initiate the contact...Since then I've had an initial interview and interacted with the SVP multiple times." Don't miss your chance to get results like these. Book your time now by clicking here. Space is limited.